Welcome to Part 2 of my Best of 2015 review. If you're a regular listener to the show, you'll know that folk music in all its forms is a staple of the playlists. And that's where we pick up here with another 22 great tunes. And as usual, it's fascinating to watch and hear what other strands make their way in - lounge, orchestral, whatever. Once again enjoy, and see you all on the other side in 2016. A glorious winter entry to start, a collaboration between two fascinating artists in their own right. That time of year again when we take stock. It's good to take stock, be thankful for what you have, mourn what you miss, make plans for the future, rekindle memories. Musical memories are obviously pretty specific, conjuring up a place, a time, the people you were with, or maybe just how the music made you feel. It can even seem like music transports us back to a more innocent time. Last January really does seem like a long time ago and some of this list dates back that far. Musical memories are always personal and often completely private. Of the numerous delights on the debut album by Patrick Freeman, Cherry blossom fall, there is one that jumps out from the crowd. ‘Butterfly’ catches a current of some of Brian Wilson’s South Seas experiments courtesy of a sublime steel guitar turn from David Murphy (John Blek & The Rats, The Lost Brothers). In another context, this would be the upper echelons of country music. Here, with a cavernous reverb and flanked by a pitter patter drum machine and glorious vibe synths, it approaches the realms of vintage exotica, your Eden Ahbez for example, dipping and diving into some intriguing psychedelic side roads. The song is perfectly reined in, letting the production do the work. The album was recorded with Brendan Fennessy of O Emperor at their Big Skin studio and it constitutes another impressive addition to that studio’s growing discography. The last show of the year and a bit of a mixum gatherum. Some musical highlights of 2015 sprinkled throughout, a few pieces of winter music and a few new releases. The winter music was Lost Idol, a wonderful mix of medieval choral and 21st century beats. And Jóhann Jóhannsson, the soundtrack to his own film End of summer about a trip to the Arctic, a suitably glacial and haunting piece. Best of 2015 included JR Green rollicking away fabulously, Low simmering magnificently, Alela Diane & Ryan Francesconi meditating compellingly, Deerhunter psyching beautifully, Julia Holter well she's just brilliantly daft as a brush. New music from TEEN, new album coming from them in the spring, and Tess Parks, uncompromising psych pop. Two more great cuts from the Creation Records Box Set out on Cherry Red, The Loft & Primal Scream from 1985, great to hear those. More on the Best of 2015 coming on the blog over the next few weeks. The next show is Jan 5th. 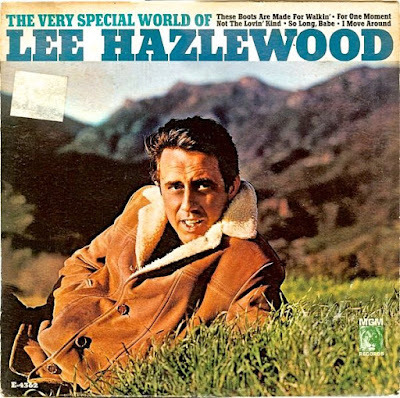 The wonderful Light in the Attic Records has been pursuing a raft of Lee Hazlewood reissues in recent years and what a beautiful thing that is. This winter saw the reissue of his three MGM records from the mid 1960s. In the wake of ‘These boots are made for walkin’’, the smash hit in early 1966 written by Lee for Nancy Sinatra, LH was given the run of the studio with his pick of the cream of session talent. This was what came to be known as the ‘Wrecking Crew’ and the personnel on these albums includes such greats as Glen Campbell, Chuck Berghofer, Hal Blaine, Carol Kaye, Al Casey and Larry Knechtel. A Dubliner with a great line in Nilsson-esque songwriting (there’s a lot of that going around this month) and winning melodies. One of the most appealing things about this album is the lyrics, full of sincerity but thankfully without that dreaded earnestness and just as thankfully without any tiresome obliqueness. An opening line of “I get up in the morning, try to feel some sense of worth” could be a recipe for disaster in other hands. Here on the title track it’s paired with a lovely sprightly arrangement of upbeat acoustic guitar, twinkling piano and chirping strings for a genuinely touching effect. By the time he gets to “every song’s a souvenir for somebody to take”, if you’re anything like me you’ll be totally won over. 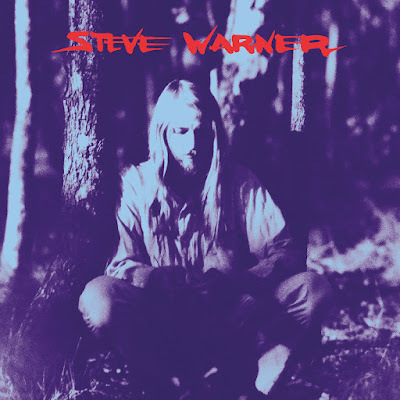 Another lovely reissue by Earth, this time from the Melbourne 1970s folk artist Steve Warner. That name didn’t make much of a mark this side of the world at the time. However, this is an album that would sit comfortably alongside such classic singer songwriters as Harry Nilsson or Randy Newman. Warner uses a variety of styles but the most successful one based on this album is the lush piano ballad. The opener ‘Summer’ has a lovely winsome quality, the sweet piano arpeggios augmented by slightly kooky mellotron synth and a searching lyric with perfectly plaintive delivery. ‘Rainfall’ is an instrumental beauty with a bit of a prog rock feel – there’s even a film music style intro – plangent piano chords giving way to a descending guitar riff (soft distortion and all) and synth choir. A few wonky Christmas numbers at the top of the show this week. Tex Ritter giving Santa a bit of western swing, The Three Suns bringing some excellent cheese (thank you Trunk Records) and Astrocolour taking a more laid back, Air-ish approach to some classics of the season. Robert Forster, elegaic, poetic, playful, wonderful. 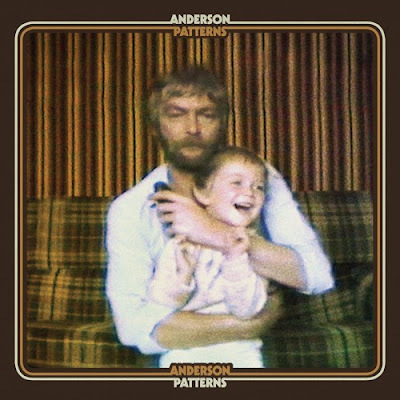 And Anderson (below), an Irish singer songwriter of substance and class. I like the way his jacket fits. A wonderful discovery courtesy of Stephen Coates of The Real Tuesday Weld and Earth Records. Mikael Tariverdiev is a household name in Russia, thanks to his prolific output as a classical composer in general, but also for his work in tv and film. However, I’m guessing even the most conscientious cinephile from this part of the world might not have heard of him (and of course that’s what curators and labels are for). 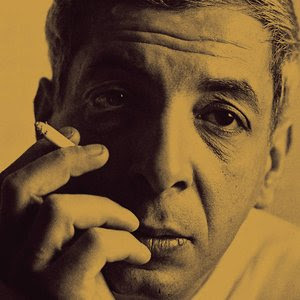 This handsome triple album collection compiles his film work, in particular three main soundtracks from the 1960s – Goodbye Boys, Snow Over Leningrad and I am a tree. Just the way it fell but a bit of a 1980s theme this week. The new Creation Records box set is out on Cherry Red and I was lucky enough to get my hands on a copy (thanks Ricky). It covers 1983 and 1984, the first two years of the label, and how great it is to hear gems like The Pastels & The Loft. Cardiacs are also being reissued, from 1984, and The Go Betweens from the same year, well we don't need an excuse. Slow Moving Clouds, stringed majesty. And Mikael Tariverdiev, wonderful Russian film music from the 1960s.